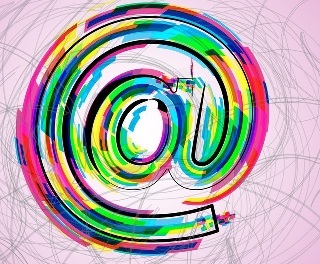 The “@” symbol used to be just for email. Then it was for Twitter too. Now, it transcends networks. In 2006, Robert Andersen, then a freelance designer who later joined Square as a founding team member, became the first person on Twitter to use the “@” symbol to reply to another user. Andersen didn’t do a proper @-mention as we know it today — a space separated the symbol and the username — but it helped establish a language for communicating that is now commonplace on Twitter. The @-mention migrated beyond Twitter and into online conversation everywhere. Facebook embraced the “@” symbol in 2009, three years after it first appeared on Twitter, to let users mention one another in posts. LinkedIn followed suit in early 2013. Google+ introduced its own symbol — the “+” sign, fittingly — to mention other users, but perhaps recognizing old habits are hard to break, it also lets users @-mention one another. On Tuesday, Tumblr became the latest major social network to adopt the “@” symbol in response to user demand for the option. It’s certainly not the only example of social networks adopting one another’s language and mechanics. You can now “follow” users on Twitter, Facebook, Tumblr, Instagram, Google+ and Pinterest. Hashtags and “trending” topics populate Twitter, Facebook and Google+. Any social network these days offers options to retweet, repin, revine and reblog. Many of these originated with Twitter, but even Twitter can’t entirely claim ownership. The hashtag was used on Flickr and other services before users — the key word is users, not the company itself — introduced it on Twitter. The same is true with the “@” symbol, which was introduced organically by users and had a long history before that. The “@” symbol played bit roles for hundreds of years, representing everything from beverage measurements to accounting units. It was left off from early typewriters and rarely noticed on later devices, but that started to change in the early 1970s when a computer engineer thought to use the character as a connector in email addresses. Now, the “@” symbol has a starring role on many social networks, but the language of these networks is becoming increasingly scripted. the language of these networks is becoming increasingly scripted. Williamson, the eMarketer analyst, argues that by streamlining language across networks, each service makes itself a little more intuitive and approachable to users and, crucially, marketers. “It makes sense to marketers and advertisers: having one hashtag, one ‘@’ symbol that you can use across services makes things a lot easier if you’re putting out a campaign or a message,” she says. In that sense, the rampant borrowing of Twitter’s features and language might actually help it by lowering the barrier to entry for new users and marketers. On the other hand, one could argue that part of what makes a service like Snapchat feel fresh is that its language and mechanics are different, novel. There’s no reposting, following or @-mentions. It’s just you, your “friends,” their “snaps” and the “stories” you share. Of course, if you really want to @-mention someone from Snapchat, you can try to do it on Twitter. Or Facebook. Or Google+. Or Tumblr. Tags: @-Mention, mashable, Seth Fiegerman, Social Networks. Bookmark the permalink.